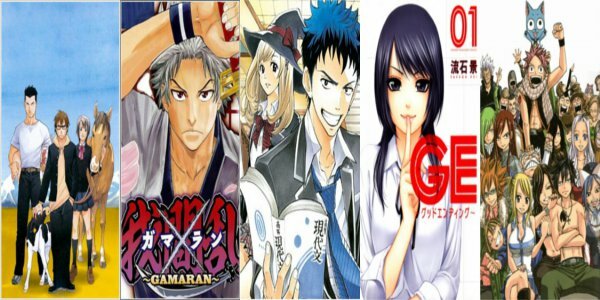 A little later than usual but here’s the Weekly Manga Recap with chapter reviews for Fairy Tail, Buyuden, Kimi no Iru Machi, Silver Spoon, Denpa Kyoushi and Yamada.kun to 7-nin Majo. After Kishimoto-sensei pulled a textless chapter a few chapters back, I was desensitized to the idea and even accepted it without putting up a fight. At least it was better than Naruto’s attempt. 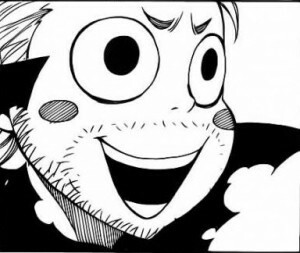 Using textless pages/chapters tends to be for building up suspense or trying to convey the seriousness of a situation, but Mashima-sensei clearly doesn’t think so. With Gildarts as the centre of attention in this chapter, all we got was an endless stream of comedy, and you know what I quite liked that. Maybe it’s because Gildarts is a character who lends himself out to this type of comedy or maybe it was the hilarious artwork that made him into a chibi at a few given moments but the chapter as a whole was pretty decent. As I mentioned in the last manga recap, this was going to be a filler so if your disappointed we’re not back to the main story, you only have yourself to blame. 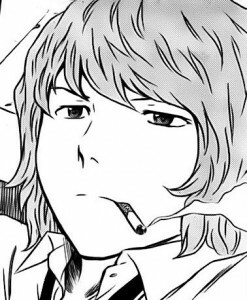 Not to worry, I think with the next chapter we shall resume the main story and possibly reveal the identity of the mysterious women we saw at the end of chapter 297. Going along nice and slowly, Buyuden is about to take its time and explain in detail what happened to Azuma Watari. Clearly this isn’t going to be an issue that’s resolved in just one chapter, and that’s good. There is no point in reintroducing a character as someone who has developed issues and then just resolve these issues in one chapter. If that were the case, the whole point of the reintroduction would be moot. Even though Watari’s character is following the route of a typical delinquent turned normal, or in his case back to normal, his addition to the cast is still necessary for the formation of the Boxing Club at the school. It might take a little while for the plot to start progressing again, but this is just Mitsuda-sensei’s style. 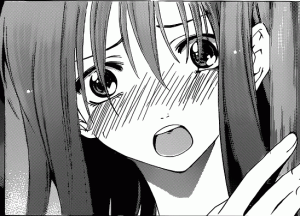 Much like the frustration of not losing your virginity, these two chapters are definitely frustrating in more ways than one, but at least we’re finally getting to that point where things are progressing between Haruto and Yuzuki. It wasn’t too long ago that Haruto couldn’t step up and do the deed (that might have been a little crude but you get the point), although I’m guessing that was Seo-sensei’s intention in order to drag out KimiMachi for a little longer by drawing a filler arc including Miyu. Even though we’re getting to the point where the couple is going to sleep together, it was no surprise that Yuzuki made the first move. This is actually more common in shonen romances running in Shonen Magazine, though at least when this happened in GE – Good Ending the male lead still came of looking like a heterosexual male. Haruto’s always been an infuriating “herbivore” so I was thankful for his acceptance of the next step but then Yuzuki had to go ahead and ruin everything. Understandably, it wasn’t going to happen in the same chapter so when she refused to sleep with him before taking showed I had no issue, but when she pulled her usual selfish nature out of the closet in the next chapter, that was when I got annoyed. As annoying as Haruto can be, Yuzuki can be worse. She’s not exactly a bad character but she constantly tests Haruto and at the same time she’s becoming less and less likeable as the series progresses. 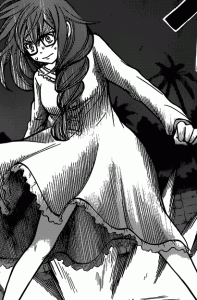 To top it all of, she threw a tantrum in the previous arc which isn’t really befitting the heroine she was meant to be. I want to scream at Seo-sensei to stop trolling and drawing out something that should be second nature to a college couple, but I fear he might extend even more just to spite me. Why ! Hachiken worked so hard! I’m actually surprised at Arakawa-sensei for pulling this stunt. This does of drama doesn’t really fit Silver Spoon’s style which definitely added a little shock but it felt a little out of character and almost like an attempt for Arakawa-sensei to experiment with some drama in a slice-of-life series. I hope so. As long as the romance doesn’t become the central focus of the series, it could add something new and make for the occasional “filler” chapter with just the two of them. Slice-of-life series without romance or comedy just don’t seem right (well unless they’re dramas) but I really hope that Arakawa-sensei doesn’t use Hachiken’s hospitalization as an excuse to further the romantic development; that would be too dull. A great chapter with a slightly disappointing ending. Wow that chapter was filled with developments! I don’t know what to say, but I do know that this has definitely made things harder to predict and possibly broken the continuous cycle of “meet witch, kiss witch, acquire knowledge and have witch added to the harem” that has been established in the series. As much as I hate to admit it, the one pitfall the series faced was repition – it’s still great to read but you had to question it – and now we get to see more happening with the main plot. Now I’d like to see Yamada’s reaction to all of this. He’s not exactly a team player, but I guess that he’d jump at any opportunity to cheat and not have to keep attending summer classes. Although, this does bring up a possibility of a rift between him and Shiraishi, as Yamada pointed out before they only really share this. Personally I’d like to see this lead into some romantic development arising from jealousy but I’m not sure Shiraishi’s that type of character YET. So much to look forward to in this series! And here we have the conclusion of the Luce arc as well as a nice transitional chapter that shows our favourite otaku teacher does good outside of his required school hours. 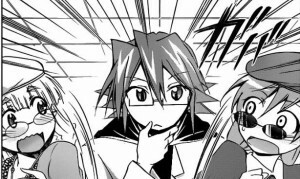 Not surprising that Kagami-sensei decided to drive Luce into a corner in order to reveal his true identity. His character doesn’t possess any tact and whilst this may have been a teaching moment, all I could do is laugh. Maybe it’s because I’m in the midst of watching Sword Art Online, which would explain why his dramatic death was so funny. It’s hard to say if this was intended as a joke, though I’ll maintain it was and was most certainly enjoyable. On a different note, the arc concluded with yet another problem child having learnt their lesson and now it looks like Luce will be accepted for who he is. After the conclusion of the arc, we got a nice little transitional chapter. Not necessarily the best chapter but it was a nice little break in between arcs. Correct me if I’m wrong, but I seem to think that this is the first time or at least a rare occasion when Kagami has done something which benefits others more than himself sans the kicking and screaming. This subtle character development was something see much with Kagami because most of the time we assume he does things out of self-interest and now we finally witness a fraction of his growth. 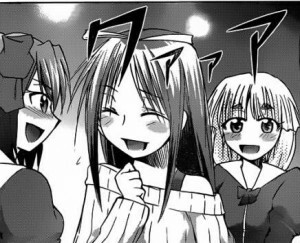 An eventful few chapters from Denpa Kyoushi. With this chapter of Silver Spoon, the closest thing I can compare it to is an early part of Bakuman. In that, the main character collapsing was dramatic for a time, but he got over it and possibly learned something from it. That's what I see happening here, though hopefully with better results. I never considered Yamada-kun all that formulaic, but I can see it becoming that way if things continued on like normal. These newer characters seem interesting, so the next couple chapters should be good ones. I wouldn't say Yamada-kun was completely formulaic but a pattern was starting to emerge. I'm really excited to see how the series progresses from now on.